Inspired by the blockbuster movie, and after 8 sold-out shows in SF we’re heading to the East Bay. 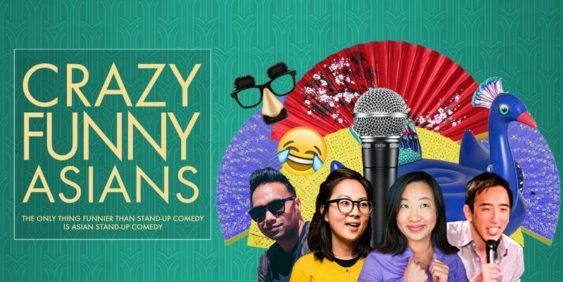 See some of the Bay Area’s top comedians at Berkeley’s first ever “Crazy Funny Asians” Comedy Festival, presented by Funcheap and HellaFunny. Let’s celebrate the Bay’s Asian-American culture and heritage with laughs. Modern coffee shop offering tea, pastries & pourovers in spacious, industrial-chic environs. Algorithm is accessible via AC Transit 51B or car. Also close to the Marina & Fourth Street. Closest BART is North Berkeley.